I have been waiting for this whole year to fall in love with a new band. Sure, I’ve had a couple of crushes here and there, but I have yet to be swept away. 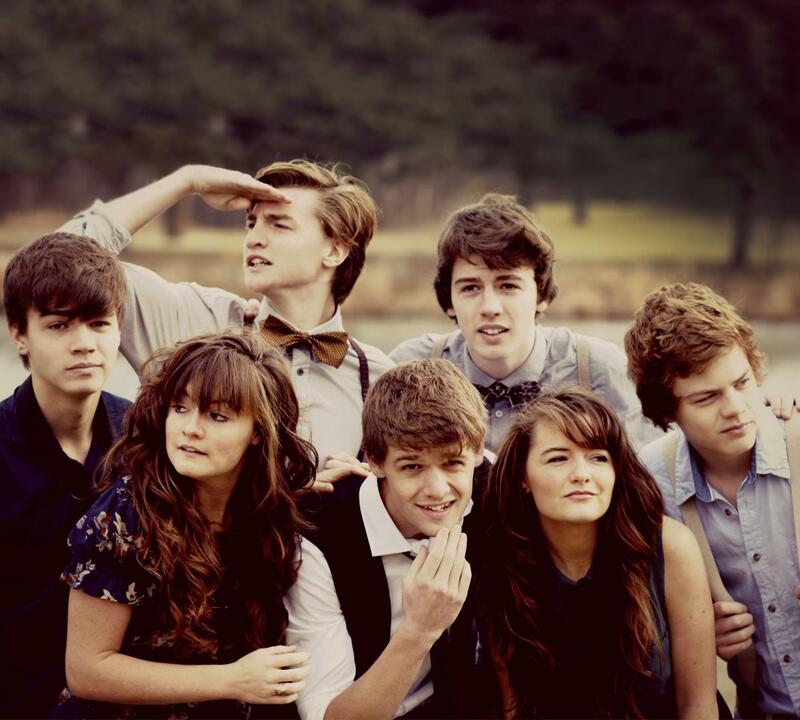 The latest group on my potential loves is the indie folk septet The Hunts. A group composed of brothers and sisters, The Hunts recently released their EP, Life Was Simple, containing three tracks: the infectious “Make This Leap”, soothing “Lifting the Sea”, and sentimental “Remember Us”. Following a music video release, it seems almost impossible to not like this group. For one thing, they are extremely talented (banjo = check, violin = check, viola = check, guitar = check, piano = check, was that a congo? = check anyway). Second, they are young (and this talented!). Third, it’s adorable seeing them all! (Like, imagine how Christmas is like in this household! PS – Hunts family, would you consider adopting me?). To prove my point, you can watch their video for “Make this Leap”. If you didn’t find yourself smiling at the tune, or even feel good just by watching the video and that pretty awesome cannonball jump , I declare you not human.